Here is an update on the status of Bill-C69, a collection of news articles, details of the appointments and some commentary. This bill passed in the house with Liberal majority and has been sent to committee by the Senate including spending at least $500,000 to take the committee on the road to western Canada. Senators pushing for answers on whether Bill C-69 will actually accomplish its goals. Will this replacement of the National Energy Board be a success or is it doomed to fail? There is claims there is a hidden agenda and that these important appointments will be used to reward those that have made large donations to the Liberal party or for past or future favors. Similar allegations with the SNC-Lavalin affair after the Liberal party caught accepting at least $100,000 in illegal campaign donations via SNC-Lavalin employees that were reimbursed by the corporation. The Conservatives, other parties and candidates have also been caught taking donations illegally, using robo calls to mislead voters and other election act crimes or violations but like the Liberals this time the only consequence has been paying back donations, fines or a slap on the wrist. There is likely more cases not exposed. There needs to be more formal investigations and stiffer consequences or this will continue to undermine democracy and public confidence. New CEO Salary range: $206,600.00 – $243,000.00/Year (plus bonuses and benefits). Some industry insiders claiming this is simply another assault on Alberta’s oil industry. Yet there is proof the current Canadian regulator (NEB) and the Alberta Energy Regulator (industry self regulation) have often ignored public interests in favor of special interests. Many have Concerns of the impacts of a rapid rate of climate change and Canada not leading by example. Calling all leaders in the energy sector! Protect the environment, regain public trust, strengthen the economy and support Indigenous reconciliation as the first CEO with the new Canadian Energy Regulator. Help ensure Canadians continue to have access to safe, affordable and reliable energy. Redirects to Government of Canada Appointment opportunities site hosted by third party provider. Under the proposed legislation; the Canadian Energy Regulator would have a Board of Directors consisting of at least five but not more than nine Directors, including a Chairperson and a Vice-Chairperson. Under the proposed legislation, at least one of the Director positions must be filled by an Indigenous person. 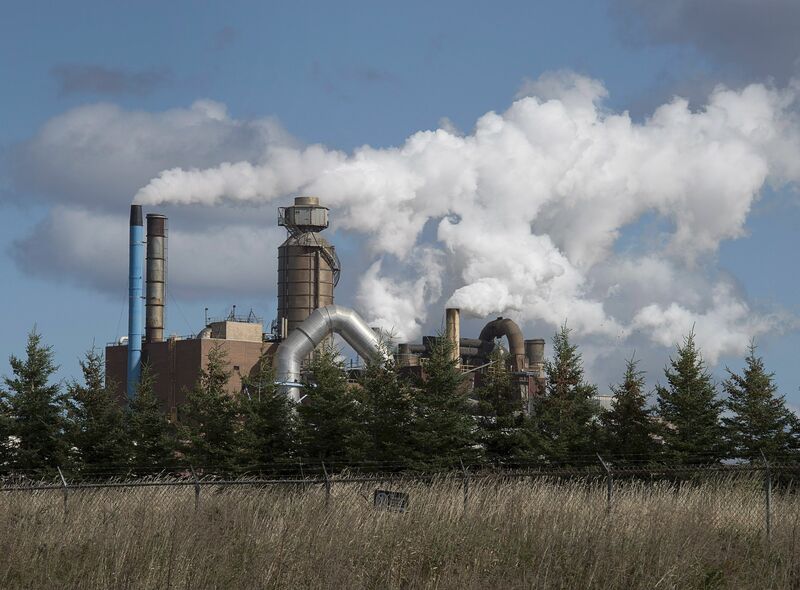 The Senate committee studying the government’s bill to overhaul environmental reviews for resource projects is preparing for a western tour that includes two stops in Alberta for hearings during a provincial election campaign in which energy issues are front and centre. The Senate has approved two weeks of travel – at a cost of nearly $500,000 – for the standing committee on energy, environment and natural resources to take its review of Bill C-69 on the road, even as committee members put forward potential amendments that they suggest would improve the bill. The legislation would overhaul federal review of major resource and infrastructure projects by setting new timelines and mandating consideration of issues such as climate change and gender-related impacts, while requiring companies to engage early in the planning stage with Indigenous communities that would be affected. Starting April 8, the committee will visit Vancouver, Calgary, Fort McMurray, Saskatoon and Winnipeg. Two weeks later, it will embark on an eastern swing to St. John’s, Halifax, Saint John and Quebec City. The Alberta sessions will be fraught with political drama, as C-69 protests have been common when federal ministers visit the province. Last month, a convoy of truckers descended on Ottawa with a pro-industry message that decried the legislation as an anti-pipeline bill. Alberta Senator Paula Simons, who sits on the committee, has been deluged with messages from people from across the province demanding that the committee stop in their towns to hear the support for the industry. The provincial economy has suffered from low crude prices, a cutback in production and a lack of investor confidence due to insufficient pipeline capacity for moving crude to markets. Groups representing oil producers and the pipeline companies argue Bill C-69 will discourage new investment in infrastructure and want to see sweeping amendments to shift the emphasis toward economic development. Meanwhile, Alberta Premier Rachel Notley has urged Ottawa to make amendments to the bill, while United Conservative Party Leader Jason Kenney wants it scrapped altogether and vowed to launch a constitutional challenge to it if he wins power in the province’s April 16 election. While industry associations want fundamental changes to the bill, the Independent Senate Group is considering a list of amendments prepared by Senator Yuen Pau Woo, who is a committee member and leader of the independent group that was appointed by Prime Minister Justin Trudeau but does not sit as Liberals. A copy of the amendment list was obtained by The Globe and Mail. One of the amendments would see a greater emphasis on economic development added to the preamble and purposes section of the act to “bolster consideration of the positive economic benefits of the designated projects” to be reviewed by an Impact Assessment Agency, Mr. Woo wrote. However, he notes in the document that “economic factors are already explicitly considered in a number of places” in the bill. The senator did not respond to requests for comment. His “potential” amendments also cover proposals to tighten timelines, limit ministerial discretion and strengthen the role of current regulatory agencies such as the National Energy Board – which will be renamed the Canadian Energy Regulator. “I think it is possible to improve the bill without gutting it in the slightest,” Ms. Simons said. In a visit to Calgary this week, Finance Minister Bill Morneau said the government is open to amendments that will improve the act, though Environment Minister Catherine McKenna has said it won’t back down its core concepts, such as incorporating consideration of climate change into reviews. In hearings in Ottawa so far, the committee has heard from industry groups and provincial governments, but not from environmental activists or representatives of First Nations. “We need to make sure that the Senate is listening to everybody, and not just pro-industry groups and people who are critical of the bill,” said Anna Johnston, a lawyer with West Coast Environmental Law. This entry was posted in Financial, News and politics, Oil and Gas, Sustainability and tagged Alberta, Appointments, bankruptcy, Bill-C69, Canadian, cleanup, donations, Energy Regulator, environmental, Example, fraud, gas, industry, Liberal, National Energy Board, NEB, oil, Party, SNC Lavalin. Bookmark the permalink.